Graham spent short periods as a police cadet and uncertificated teacher prior to joining Leeds City Police, as a constable, in November, 1965. After experience on operational, plain clothes and juvenile liaison duties, he was promoted sergeant in February 1973 and, a year later, was given his first training role as officer in charge of the Leeds City Police cadets. Following police reorganisation in 1974, as a member of the West Yorkshire Police, he took charge of juvenile liaison for the Leeds area before, in 1975, attending a Home Office instructor training course at Ryton on Dunsmore, near Coventry. This was followed by a two year secondment to the Home Office District Training Centre at Dishforth, North Yorkshire, where he was a class trainer and member of the supplementary training unit. Upon his return to West Yorkshire in 1977, following another period of operational duty as a patrol sergeant, he was posted to the Organisation and Planning Department at Police HQ., Wakefield, for two years. Another operational posting followed, during which he was involved as leader of a police support team during the riots of 1981, working in Toxteth, Liverpool and other places. He returned to a training role at Bishopgarth, in Wakefield, becoming acting head of probationer training before, in 1984, successfully completing the Garnet College (London) teacher training course to gain a secondment as a Director of Studies, in the rank of Inspector, at the Home Office Central Planning and Instructor Training Unit at Harrogate. After returning to the Force in 1986, Graham worked as an operational Inspector in the Kirklees area for several years before returning to Bishopgarth in 1992, as Inspector in the Force Training Wing. In 1993, he was appointed to the Chief Inspector post of Head of Force Training, remaining in that role until his retirement as a police officer in 1997. In 1995, he established a relationship between West Yorkshire Police and the University of Huddersfield School of Education and Professional Development, enabling police trainers to gain teaching qualifications as part of their development. In 1998, he was invited to take charge of the Uniform Services subject specialist group of the PGCE/Cert Ed course summer school and has held this post ever since. 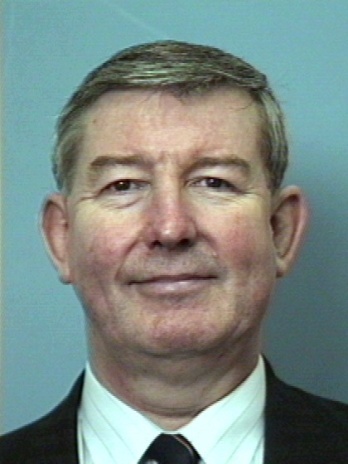 Following retirement in 1997, Graham became the first civilian trainer in Management and Leadership Training at Bishopgarth, which included responsibility for the training of trainers. In this role, he provided continuity as the department was gradually civilianised, being acting head of department for a considerable time. During this time, he was also appointed as a part time affiliate tutor by the University of Huddersfield and has held this post ever since. Because of his wide range of knowledge and outgoing nature, he was also assigned to hosting overseas visitors and, as well as training Hong Kong Police inspectors in management and leadership, has looked after many senior officers from countries which include India, Sierra Leone, Liberia, Uganda and Russia. Graham retired from his civilian role in 2008 since when, as well as continuing as a tutor for the University, he works as a freelance trainer and consultant, continuing to undertake a significant amount of work for West Yorkshire Police. 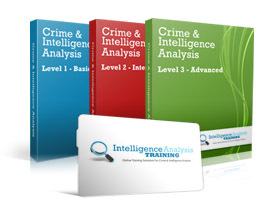 Since late 2011, he has become an associate of Intelligence Analysis Training Ltd.